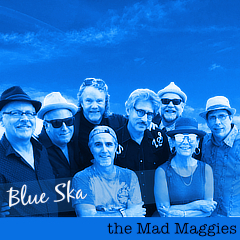 Celebrate Accordions and the Women who play them! Hope to see you at this free in house concert at Down Home Music in El Cerrito this Saturday afternoon from 3PM till 6PM. Babes perfoming are Renée de la Prade, Nada Lewis, Big Lou, Salane C. Schultz, Marla Fibish, Sabra Daly and me with GDub. 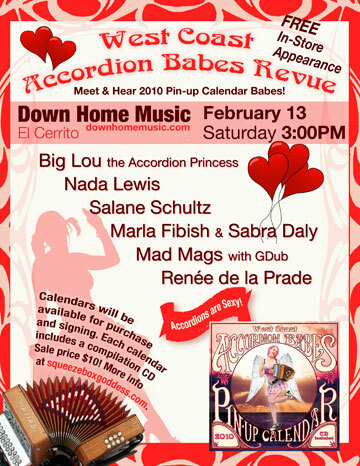 accordion babes, accordions, Down Home Music, El Cerrito, free, live music.